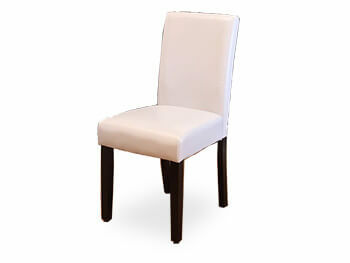 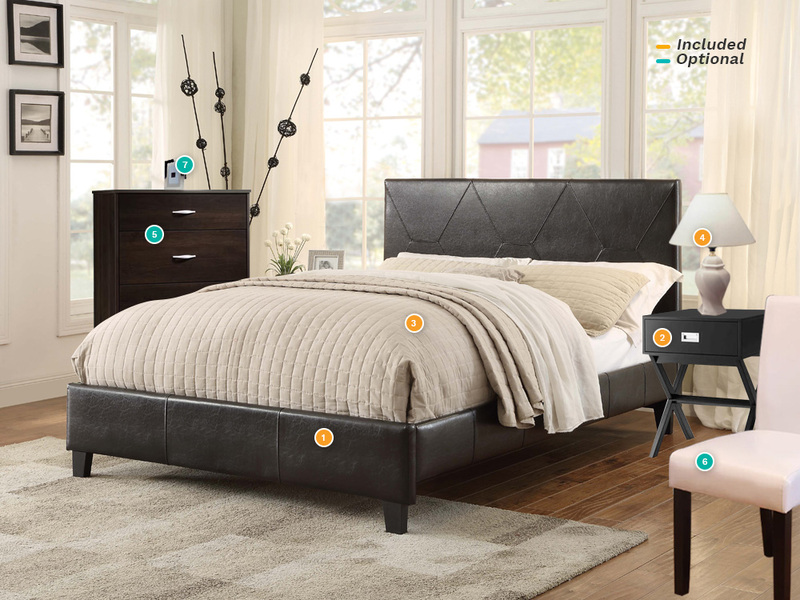 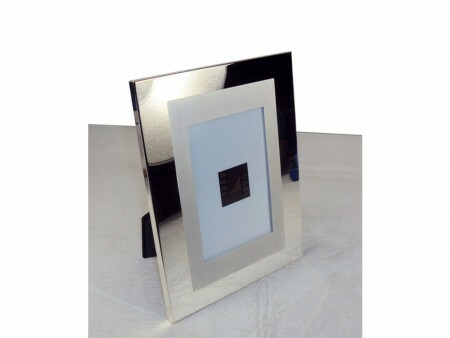 Stylish and fashionable, this package will provide you with a complete bedroom set. Its sharp design is great for any bedroom and it includes the Modern Clif Bed, a pure line platform bed with a leatherette black finish headboard and footboard. 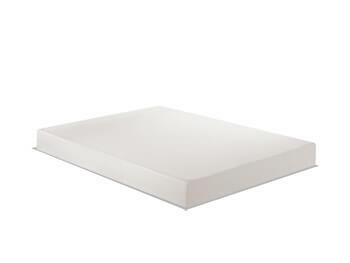 The bed structure, with slats, is ideal for comfort with the Inhabitr Memory Foam Mattress. 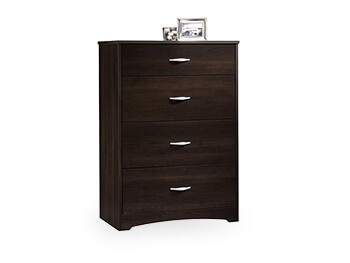 This set includes the Paris Nightstand, a square large trunk-like drawer that provides concealed storage for any living essentials and it features brown wood with crisscross leg detail. 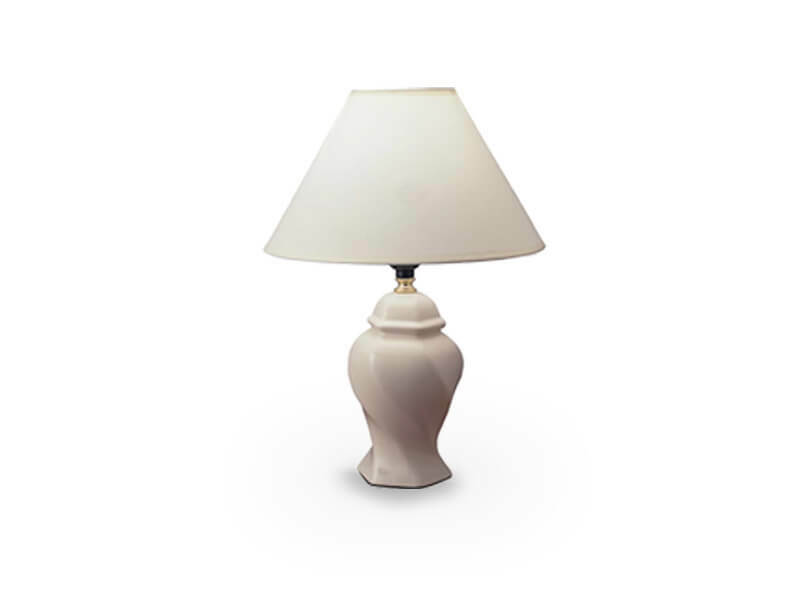 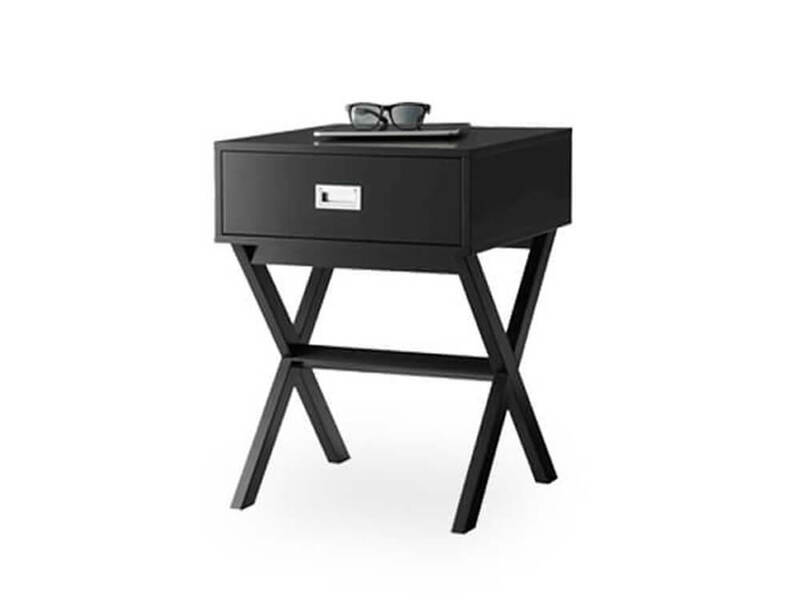 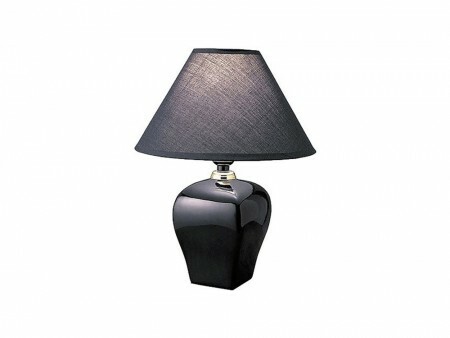 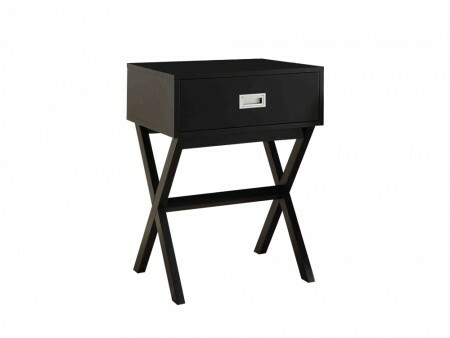 We paired the nightstand with our Basic Table Lamp that has a small ceramic base and a black shade. 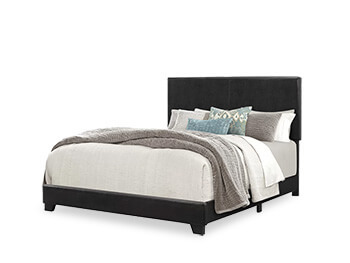 This bedroom calls for rich bedding of colour or minimal white and a colourful area rug. Check out Inhabitr new rug collection for a rug that would pair nicely with the Chic Bedroom Collection. The mattress you get will be an 8-inch memory foam mattress.